Have you ever played horse racing games? No? You do like betting on horses at the races, don’t you? What if I told you that you yourself could take on the role of a horse rider and try your chance at winning every single tournament there is? Well, now you can! No matter your age, your skill, and if you haven’t ever been around horses – now you too can put on the helmet and equipment and unleash your inner jockey. What do you need to play horse racing games? Not much – certainly not the incredible amount of money an actual rider needs. Just imagine: for a real-life rider to be successful, you would need several horse care experts (a horse trainer, a veterinary to take care of the medical needs of the horse, a horse groom, as well as a barn manager). And above all that you either need a true jockey, or training so that you yourself can ride the horse to victory. Of all the racing games we’ve encountered, G1 Jockey looks by far the best. However, the nice graphics are overshadowed by the simply weird gameplay. There are several versions of G1 Jockey, each bringing its own small graphics improvements to the game. One small detail that needs mentioning: almost all of the games on this list are Japanese, so you will either have to go in the blind to the settings menu and change to English, or learn the menu by heart (most of the kanji symbols are pretty basic, so you should have no problem after a few sessions of Google Translate). It does seem like the Japanese really like updating their video games once per year. This one here has versions from the original G1 Jockey back in 2003, to the latest one available for Wii and PS3 in 2008. However, G1 Jockey 2007 is still widely considered to be one of the best horse racing games out there and can easily beat out later games. And also, the 2007 PS2 version is still better in the graphics department than the 2008 Wii version. 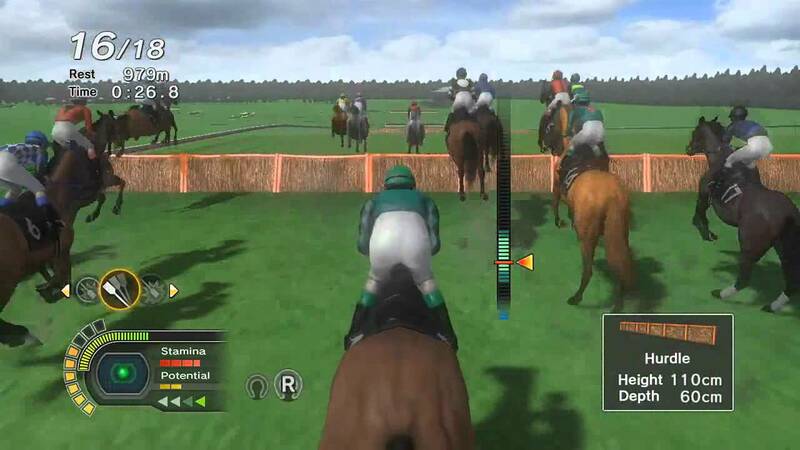 While the controls for this game have been criticized for being odd, other fan of horse racing games say that they bring an extra touch of difficulty to the gameplay, making it more authentic and realistic. We would tend to agree with both these views, so we’re going to let you decide which you think is the case. Winning Post 8 2015 is a bit different from G1 Jockey. Being so new, the game’s graphics are better rendered, although not necessarily better in the general sense of the word. The major disadvantage of this game is that you can only play in Japanese. However, there are people over at the Steam Community who are working on a Winning Post 8 English language patch. Still, the game looks really good, especially because it’s made this year – and if you’re willing to get over the whole language barrier, then you may even experience a full experience. This means that you can customize each of the horses that enter the race, you can get your own racehorse which you can take care of (virtually, of course) and you can eventually enroll it in a race. However, a major disadvantage could be posed by the constant cinematic mode which can’t really be changed. If the previous two horse racing game didn’t particularly feel like a real jockey, it’s okay – we’ve got other video games that just might. For example: Starters Orders 5. 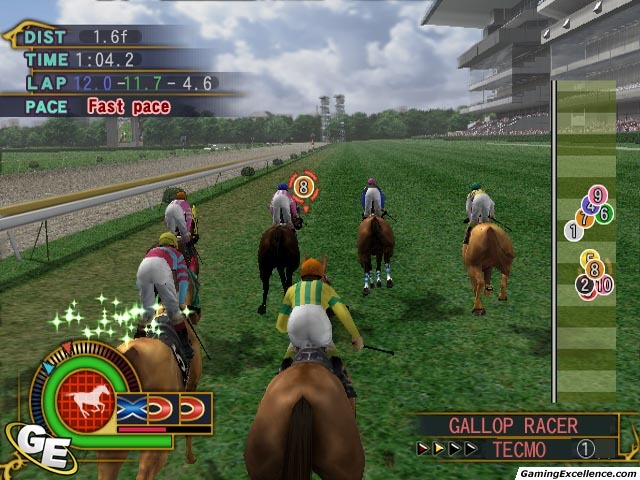 The Starters Orders games brought a new perspective into horse racing video games back when they appeared with the first installment in the series. This time, the horse race would not be seen from the perspective of the jockey, and not from a cinematic angle. Instead, in the Starters Orders series you get to see the horses as if you were a face in the crowd. You can bet on the horses with in-game money and you can attend both simple races as well as combined races (also known as horse jump races). All in all, it’s a pretty basic game, but one which can easily become addictive if you have a thing for gambling. With this game we’re breaking away from the model we’ve adopted until now. That’s because Starters Orders 6 is completely different from Starters Orders 5. Why? Well – see for yourself in the image above. First – the graphics are phenomenal compared to the previous version. Secondly – you can now switch the views from side-scrolling, to first person, and to cinematic. You now have classical music on the background. And the riders can actually fall when they jump over the fences. The rest is exactly the same as the previous game. I know we’ve said that the previous games were the best. Well – we lied. Gallop Racer 2006, despite being such an old video game – is still one of the most fun out there. For this one – the perspective is first-person, and you are taking the role of a jockey racing through all the famous tournaments of the world, such as the Tokyo Cup, the Paris Cup, or the Royal Cup. You can choose all sorts of different horses with the wackiest of names. And you can put them all against each-other. But the funniest/most interesting part about this horse racing game is that if you ride your horse properly, you will get a boost. Despite being totally unrealistic, this boost really makes the game a great lot more exciting: the jockey starts hitting the horse like it wants it to jump to light speed, the screen of the game cracks (as if from the speed)< and the wind starts leaving trains on each side of the horse. Hollywood special effects? They have nothing compared to this here game. 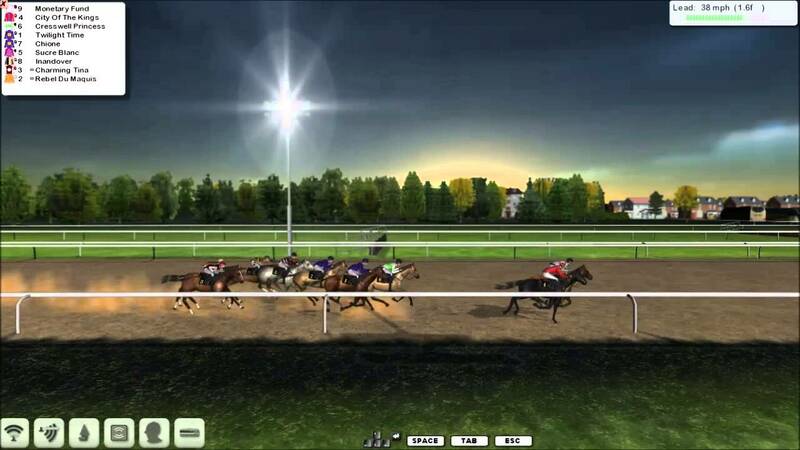 Although these horse racing games aren’t free or online (we have a few of those here and here), they represent by far the most well-made horse games we could find. After all, horse games aren’t all that popular – it’s nice to see some really interesting ones available. Speaking of availability, you can find all of this game with a simple search on Amazon – all you need now is the money to buy them and the PC, Xbox, or Play-Station to play them. Then, you can enter the race as a true jockey!